CoQ10 has proven curative properties in respiratory diseases as asthma and allergies, and in psychiatry, especially in the treatment of Alzheimer’s and schizophrenia. Preliminary studies suggest encouraging results in helping slowing the aging process, fighting obesity, and infections, in the treatment of multiple sclerosis, diabetes, and some dental afflictions. It is effective in reducing mortality caused by cancer and leukemia and in reducing the side effects of chemotherapy used for the treatment of these diseases. Recent studies have also highlighted the potential role of this substance in AIDS treatments by its ability to stimulate and strengthen the immune system. Coenzyme Q10 is one of those anti-oxidants that is fast becoming a staple for anyone who wants to live in optimal health. Also known as ubiquinone, it is indispensable for the human body’s normal biological and biochemical processes due to the significant role it plays in the transport of the needed energy within the cells. It is a substance present in all human cells and is a powerful anti-oxidant. From birth through the age of 30, the body is capable of synthesizing sufficient amounts of CoQ10 needed for the cell to function correctly. After that, you need to consume CoQ10 to get what you need – either from food or supplements. CoQ10 is a compound naturally found in that region of the body responsible for energy production the cell’s mitochondria. Furthermore, CoQ10 is responsible for producing a very important molecule known as ATP (adenosine triphosphate). This ATP is not only involved in the cellular energy production but also in other biological processes such as muscle contraction and protein production. CoQ10 also acts as an antioxidant. Antioxidants are substances that seek and destroy free radicals, which are dangerous compounds that can damage cell membranes, including cellular DNA, and can eventually cause cell death. Free radicals occur naturally, but environmental toxins (including ultraviolet light, radiation, and cigarette smoke or air pollution) amplify the effect. Scientists believe that free radicals are responsible not only for the appearance of aging but also for an entire suite of diseases and health problems including heart problems and cancer. Youth: Every cell in our body contains CoQ10. It is, in fact, essential to energy production and a vital antioxidant. CoQ10 contributes to healthy skin. 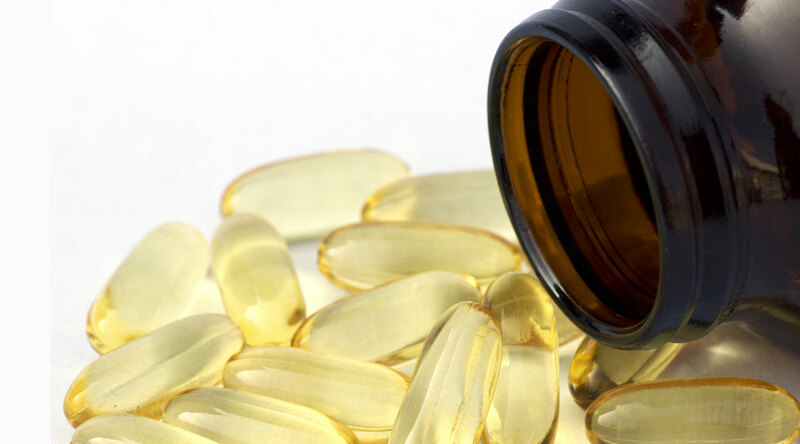 Unfortunately, aging, UV rays, and the pollutants from the air all have a role in the destruction of CoQ10, which is why taking supplements that contain CoQ10 is recommended. Local topical treatments with CoQ10 have a positive effect on wrinkles. CoQ10 penetrates the skin easily and has beneficial results on the stress caused by exposure to ultraviolet rays. Energy: In the cells, CoQ10’s main role is to optimize energy production. In order to get in shape and handle any type of exercise, a sufficient level of CoQ10 is needed. Supplements are often required because these levels cannot be assimilated merely from natural food sources. Many athletes take CoQ10 supplementation to speed recovery and help optimize the cells use of energy. Oral health: Preliminary studies suggest that mouthwashes containing coenzyme Q10 can increase tissue repair and lead to faster healing in patients with gum disease. However, additional studies are needed to confirm these results. Weight loss: The presence of CoQ10 in the body increases the metabolic rate, which means the ingested fats will burn faster. This enzyme is present in higher quantities in the liver, pancreas, and heart. CoQ10 not only improves the metabolic rate in our body but it also stimulates the immune system. Mental activity: By stimulating the metabolic rate, CoQ10 accelerates all mental activity levels and cognition. The compound has also been linked to reduced fatigue. Heart disease: The beneficial effects of CoQ10 in relation to prevention and treatment of heart diseases is primarily due to CoQ10’s ability to improve the energy production in cells, to inhibit blood clots, and the ability to play the role of antioxidant. People suffering from congestive heart failure have reduced levels of CoQ10. Congestive heart failure is an extremely serious condition that causes the failure of the heart to pump the blood efficiently. Because of this reason, the blood accumulates in certain parts of the body such as the lungs or legs. Many patients treated with CoQ10 supplements have shown improvements in terms of circulation, thereby reducing the level of fluid in the lungs and increasing the amount of blood pumped by the heart. High cholesterol: Generally, the level of CoQ10 tends to be lower for people with high cholesterol compared with healthy individuals of the same age. In addition, certain drugs produced and marketed in order to decrease the cholesterol level – called statins – seem to have a side effect of eliminating CoQ10 from the body reserves. CoQ10 supplements can correct these deficiencies without affecting the positive effects of the medication. Also as a bonus, it seems that taking CoQ10 supplements may reduce muscle pain associated with statin therapy. Artery health: CoQ10 is very effective in stopping the implacable oxidation of blood cholesterol, which is the first step in the clogging of arteries and in the appearance of heart disease and heart attacks. Cancer: Numerous studies have revealed the surprising truth that CoQ10 is able to strengthen the immune system and even prevent cancer. According to a study published in May 1997 in “Biochemical and Biophysical Research Communications,” persons with breast cancer, melanoma and myeloma are found to have serious deficiency in CoQ10. As a powerful anti-oxidant, CoQ10 targets the free radicals that cause cellular damage leading to cancer. Diabetes: CoQ10 is very effective in treating diabetes because it lowers the blood sugar level for Type II diabetes and helps lessen insulin resistance in diabetics who suffer from hypertension. Insomnia: Some people have noticed insomnia in dosages of 100 milligrams of CoQ10 daily. Mental agitation is also possible. Build up of liver enzymes: At doses of 300 milligrams CoQ10 daily, increased levels of liver enzymes can occur. While more research is needed preliminary studies suggest this will not lead to complications such as liver toxicity. Nausea: Clinical studies report that the administration of CoQ10 produces no serious side effects although some people experienced temporary bouts of nausea. Loss of appetite and diarrhea are also possible. CoQ10 is essential to many aspects of body health. A powerful oxidant, it has been linked to the destruction of free radicals linked to cancer. It is present in all human cells and is helpful in the prevention of a number of conditions including heart health, diabetes, metabolic function, and dental health. CoQ10 is essential to aerobic respiration – it is a component of the electron transport chain that generates energy in the form of ATP. Athletes use this CoQ10 to boost their energy, however it is suitable for anyone seeking optimal health. Cranberry Sauce: Antioxidant and Super Fruit!